Candido’s death has engendered a crisis of heritage and legacy. 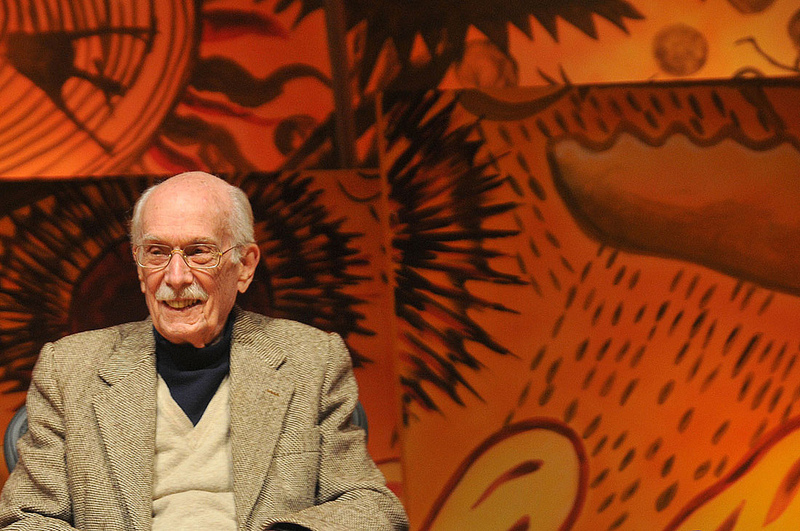 Antonio Candido, born in 1918 in Rio de Janeiro, passed away last week on May 12 in São Paulo. A writer, editor, critic and academic, he remains one of the best known and most influential literary figures in Brazil. Candido joined the Brazilian Socialist Party in the 1940s and was an active member of the resistance under the dictatorship of Getúlio Dornelles Vargas. He reviewed the earliest work of Brazilian greats like João Cabral de Melo Neto and Clarice Lispector and went on to teach for many years at the University of São Paulo. He received the Alfonso Reyes International Prize for lifetime achievement—the first Brazilian to be so recognized—among many other awards and honors. Here, Raquel Parrine writes of his legacy and the empty space that a new generation of political thinkers and writers will need to fill. It is hard for me to write about Antonio Candido. The more I think about it, the more overwhelmed I feel by the impact he had on literary scholarship in Brazil, and on the country itself. Professor Candido was a moral compass, a political trailblazer, and a dearly beloved human being. It is hard to talk about him without resorting to grandiloquent terms, which would reduce his very significant impact on his familiars and on Brazilian society. I don’t think there is any doubt that Professor Candido was Brazil’s most important literary critic. He belongs to a generation of sociologists and economists who took it upon themselves to inaugurate a properly Brazilian scholarship, but also, and perhaps more importantly, to own the political discourse about our culture, and our exceptionality.